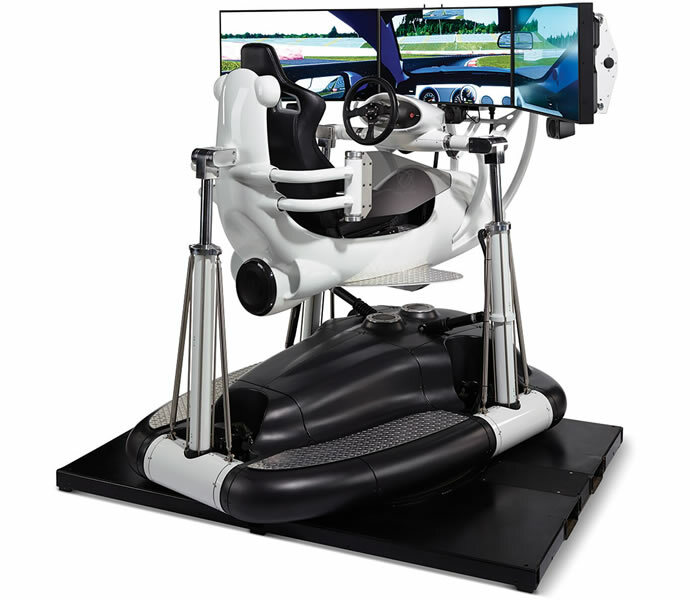 This Car Racing Simulator Costs More Than A Racing Car | OhGizmo! By David Ponce on 07/29/15 • Leave a comment! You’re looking at the world’s “Most Realistic Racing Simulator”. It looks pretty badass. And it costs $185,000. That’s a lot of dollars. For that amount of dollars you could probably buy a half decent racing car, and you know, actually race it. You could buy a bunch of cheap racing cars and practice crashing those if you’re not very skilled, then still have money left over for an upgrade or two once you get better. But hey, don’t let our practical minds deter you from this piece of tech. So yeah, there you have it. 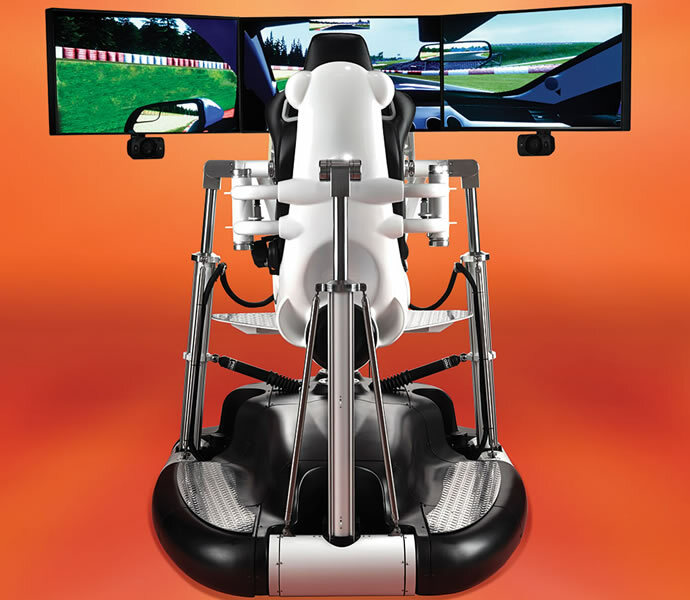 The racing simulator to end all racing simulators. It weighs 2,100lbs, and costs, as mentioned, $185,000.